Waiting for your baby’s nap to start cooking, cleaning, laundry and other chores? I wait for my baby’s nap but not for doing all these things. I anticipate this time of the day, because I can finally relax. That’s my nap time rule since my daughter’s infancy when she had super short 30-40 min naps. It becomes exhausting over time when I constantly on the go, so I decided that I’m relaxing – when she’s sleeping. And all my housework can wait. I know the second question would be: How do all the chores get done with an active toddler nearby? That’s the question I’ve heard from one of my friends. It’s very simple – do it with your child. Well, maybe not literally with the child (although it’s a good idea), but during the awake time. I almost always do all the work when my daughter is not sleeping. And don’t assume she’s an easy baby, who would just play by herself while I’m busy in the kitchen. No, no, it’s not the case. This little monkey needs me to entertain her all the time. And I do…while cooking, cleaning, doing laundry. And if I still need to make dishes or mop the floor but it’s already time for her nap, I’ll leave everything as it is. I’m OK with it. I’ll finish it when my daughter wakes up. I’ve heard so many moms who wait until their kids go for nap to finally start doing things around the house. They would moan about overwhelming exhaustion and lack of personal time. But the truth is – we can make life simpler. Make a rule for yourself – not work when child is sleeping, make some time for yourself, and get to love yourself. Do your thing: stretch your feet, do some yoga, browse the web or just watch Netflix. Recharge yourself. Your children need relaxed and well rested mom, not exhausted mom. Ok, now I’m very curious to know how do you spend your baby’s nap time? Are you spending time for yourself or doing chores? I agree 100%. I worked from home when my babies were small. They had to learn to entertain themselves or momma would never make $$. I didn’t neglect my children. I was always there, but I had to rest and I had to work so I had to do things that way. Be encouraged! Exactly! That’s what I also teach my daughter – to learn to entertain herself when needed. Like sometimes when she skips her nap, I’m not going to change my plans just because she’s not sleeping. I remind her that it’s mama’s time and if she doesn’t want to sleep she can play quietly but alone. I used to just watch tv or stuff like that I know for sure with my second kid I will nap! Onces mine got older around 1 yrs old I started laying down in bed as well. I was just drained. Housework can wait. Definitely. Nap is the best thing for relaxing your body. 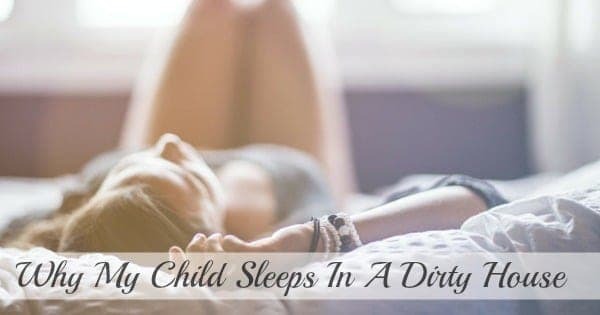 I, for some reason have difficulty falling asleep during the day and on those rare occasions when I would fall asleep, my daughter would have a short nap and would wake me up like 10 or 20 minutes into my sleep. So I prefer doing some other things while she sleeps. I too use naptime for my relax time but I try to race and get everything else done before that time so that I can truly relax. Yay! I thought I was the only one doing this, haha! I really do this, also. I’m so worn out that I hate the thought of working during the only time I actually CAN lie down or do my own thing. Silence is golden around here! I had to convert “nap time” to “quiet time” for my older one. She’s now three and only likes to nap maybe once a week. But I still need my sanity time, so that has become quiet time for her when she can do two things: 1) bed or 2) books, and it must be books that don’t make noise. Nap/quiet time is when I catch up on blogging, sleeping, crafting or just letting my brain become a vegetable while I snack on something unhealthy and watch something on Netflix. I LOVE this time of day. Really!! Oh, we have very similar situation. Since I weaned my daughter from breastfeeding she started to skip her naps big time. And she’s just 2 y.o. So if she doesn’t want to sleep, I remind her that she may play, but quietly and by herself. Mama needs some personal time. She’s not always receptive of that, but we’re getting to it. This 1-2 hours a day is so important to me. Whether I’m blogging or watching TV, I just need this time to recharge myself. I use nap time to get all my blogging stuff done! I agree with you that I rather do housework when my daughter is awake. I use her nap time to sit down on the couch and work on the computer, which is still work, but at least I am sitting down and relaxing! That’s exactly what I’m doing during her naps, I’m working on my blog)) Although I don’t consider blogging as a work, because I love it. My daughter’s nap and bedtime is the best time when I can concentrate on it. My last baby gave up naps by age 2. My me time is in the morning when the younger two boys are still sleeping and the older boys have just left for school. I love this time!! You are right, me time is crucial! All my boys, even the toddler, all help with chores around the house. This is really cool when kids are helping with the chores. My daughter is 2 y.o. and I’m starting to engage her in doing little chores too. For me it’s tough waking up earlier in the morning to have some free time, since my daughter wakes up multiple times at night and wakes up at 7 am. But when she has better night sleep, I might also consider doing early wake-ups just to have some extra me-time. Found you through the peony project, and although I am not a mom, I do understand the importance of self-care. You have to do what’s best for you, and as you put it, it’s not good for your baby if you are exhausted! I can definitely relate when it comes to studying and taking breaks. I could either study every day or study 6 days and find time to rest. Jesus rested on the 7th day when creating the Earth, so I’ve learned that it takes a very determined person to be able to stop what they’re doing and finding time to rest! Thanks for sharing! Yes, we should definitely find some time to rest. That’s what I do with blogging as well. I actively work on my blog 6 days a week, but on the 7th day I try not to open it, not read and just relax and recharge. And it helps me so much to start the new week with a refreshed mind.